Brand New is a rock band from Long Island, New York. 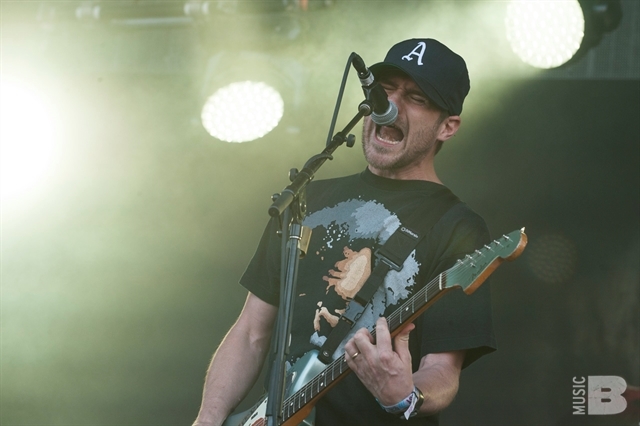 Formed in 2000, the band consists of Jesse Lacey (vocals, guitars), Vincent Accardi (guitars, vocals), Garrett Tierney (bass guitar, vocals), and Brian Lane (drums, percussion). From 2005 until 2013 the band also included Derrick Sherman (guitar, backing vocals, keyboards). In the late 1990s, Jesse Lacey, Garrett Tierney and Brian Lane were all members of the band The Rookie Lot. They eventually split off from the other members of the group, and in 2000 formed Brand New in Merrick, New York. The band signed to Triple Crown Records and in 2001 released their debut studio album, Your Favorite Weapon. Their second album, Dj Entendu, was released in 2003 and marked a stylistic change for the band. The album's first two singles, "The Quiet Things That No One Ever Knows" and "Sic Transit Gloria... Glory Fades", both received airplay on MTV2 and Fuse TV, entering the top 40 on the United Kingdom Singles Chart. Deja Entendu was eventually certified gold in the United States. Brand New moved to Interscope Records and released The Devil and God Are Raging Inside Me in 2006. "Jesus", also known as "Jesus Christ", became their highest charting single in the US, peaking at number 30 on the Alternative Songs chart. In March 2008, the band started their own record label, named Procrastinate! Music Traitors. Their fourth album, Daisy, was released in 2009 and became their highest charting album in the US, reaching number six on the Billboard 200. The band have been working on new material for some time, releasing new single "Mene" in April 2015 followed by "I Am a Nightmare" a year later in May 2016. A new album is scheduled for release in 2016. Recent T-shirt designs and lyric book inserts hint at the band possibly breaking up in 2018.